Help you later this week. Help you next week or later. Help you when you need help, on your schedule. Same Day Service – Evenings, Weekends and Holidays. While not really what I would call “real-time”, “help me later this week“, or “help me next Monday” are still timely and responsive. We can help you when you a ready for help, same day or not. The basic premise is that we do the work when you would like to have the work done. Does not get much more simple than that. We offer a Free 45-minute Consultation to discuss exactly how we can assist you with your Microsoft solution needs. It starts with a conversation 877-392-3539. It ends with your expectations being exceeded. ♦ We get it, we have all been there, you need help with something and you need help right now. Sometimes you need the help so badly that you do not care about the cost. Some firms take advantage of this, we do not. Good news is that we do not charge more for same day work, nor for working in the evenings, over the weekend or on a holiday; same great service, same low cost. ♦ We strive to exceed expectations, and that has kept us plenty busy. We do such a good job of this that 83% of our clients came back to have us to more work for their company, their school, their government office or their non-profit organization. As such we don’t need to gouge for same day service, we are already busy, so we just offer it, at the same affordable low cost. ♦ For smaller projects that are 10 hours or less, we are often able to not only begin the project the same day that you first contact us, but we might even be able to complete the project the same day! Start and Complete Your Project Today!!! ♦ There is no need to wait to start your project. Why is that, we have a large dedicated international development team, from Manhattan New York, to Canada up North, to Irvine California, and London England. ♦ Most firms advertise that they will return your call in about 24-hours. In 24-hours we can have your project complete! Why wait for them to find the time to call you back? If they take this long to respond to your inquiry, a possible sale, how slow are they once they get started? No sense of urgency, no sense of proper client service. That is not how you run a web based consultancy. ♦ Try to find a firm with this reach and this exceptional staff of Microsoft Excel MVP’s, Microsoft Access MVP’s, Data Platform experts and a Microsoft Certified Partner. ♦ What, you don’t need for us to drop everything to assist you right now, later today will work just fine for you, sweet, we will get started later today. ♦ If your project is small enough and if there is still enough time in the day, we might even possibly complete your project the same day. ♦ Typically speaking, smaller projects are often completed in just a few business days, with larger needs taking a few weeks to deliver. ♦ What about those projects that are larger than 10-hours, when can we start and complete those? Good question, generally speaking, we can complete projects of 10-hours or more of duration. We can usually do a 10-20 hour project in a few day’s time. We can usually do a 50+ hour project in a week’s time. If you are in a rush we can add a second developer and then complete the project in half-the time, same cost. If you are only available in the evenings or over the weekend, no worries, we have you covered, we work evenings, weekends and even non-major holidays. If you want to do a 50-90 hour project working with one developer can be done in a week, with a few of our senior developers. Past 50 hours there is a slight increase in the rate of the work. ♦ You don’t want to start today, but would prefer to wait until later in the week, once you have finalized your data set or such. ♦ Not a problem, we can scope and quote the work now, and we can start on the day that you are ready, sometime later in the week. ♦ Okay, so you definitely need help, and you know when you will be ready to start, just not today, in one or two weeks instead. We can meet with you, scope the work, and provide an estimate in both terms of time and money. We can then schedule the start and end dates. Then you can relax while you get your systems ready, prior to the start. 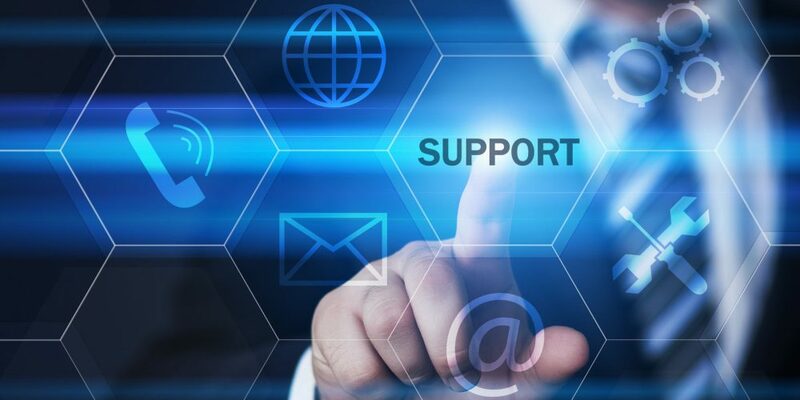 ♦ Let’s say that you want your team to have the ability to reach out for real-time assistance right when they need it, without having to take the time and effort of getting a quote, of getting the quote approved, and of having the retainer paid, all which delay the start of the actual programming. ♦ So put your team in a spot where they reduce downtime and where they have the ability to get help exactly when they need it, moving them to the front of the queue. ♦ Prepaid services in 5 hour increments. Who Else Even Attempts That Level of Client Service? Same Day Work over the Weekends, Holidays and Evenings!!! ♦ We work when you work, and that often means that we need to work late into the evenings, over the weekend and on holidays. Not all of our clients are in the US, nor are they all of the same religion, nor do all of them take evenings, weekends or holidays off. So if they need help, we are here to give it to them. No extra charge. RealTime Microsoft Consulting Services for Business, Government, Education, Non-Profits and Individuals.